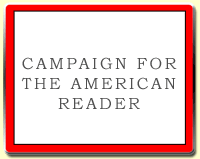 Claire Fuller is a novelist and short fiction writer. For her first degree she studied sculpture at Winchester School of Art, specializing in wood and stone carving. She began writing fiction at the age of 40, after many years working as a co-director of a marketing agency. Fuller has a masters in Creative and Critical Writing from The University of Winchester. Fuller's new book, Our Endless Numbered Days, is her first novel. I usually only have one book on the go at a time, and try to alternate between new releases and modern classics which I have missed out on for one reason or another. I’ve recently finished Aquarium by David Vann. 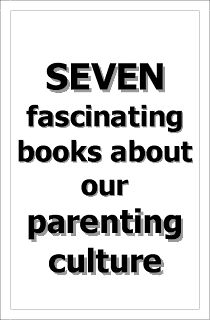 I read it in about three sittings – I just couldn’t put it down. It kept me gripped all the way through, just like most of Vann’s other novels. I thought I was going to miss all the descriptions of wild landscapes that Vann does so well, but here, unsurprisingly given the title, he focuses on fish. You don’t have to like fish or aquariums to love this book – all those fish are interspersed with the most terrific story-line. Each time something bad happens I thought it couldn’t possibly get any worse, but Vann keeps the tension stretched to almost breaking point. Next on my list was Austerlitz by W.G. Sebald. I’d heard so many great things about this book and had never got around to reading it. I have to admit that sometimes it was hard going – if I put it down for a moment, when I picked it up again it was if the book had carried on reading by itself and I would have to go back several pages to remember what had been happening. But then, I also loved that about it. It’s a story about history and loss and memory, and the way the novel meanders, strays off the point, tells another story, comes back to the original one, is exactly how memory works. 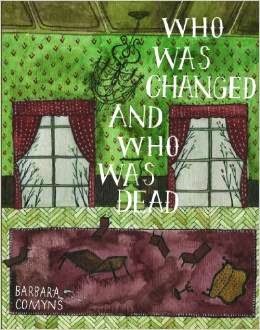 I should have then chosen another contemporary novel, but because of the book I’m writing at the moment I decided to re-read Barbara Comyns’ Who was Changed and Who was Dead. I’ve read this several times and it’s a book that I always find more in. It was first published in 1954 and tells the story of the Willoweed family’s involvement in a series of macabre deaths in an English village in 1911. Peculiar things happen on every page, but what makes me love it, is Barbara Comyns’ dead-pan way of writing about English eccentrics. Everything is written in beautifully clear prose as if each outrageous event (the butcher slitting his throat with his own knives, the baker’s wife running down the street in her underwear, chickens sitting on their eggs while flood waters rise around them) is an every-day occurrence. The Page 69 Test: Our Endless Numbered Days.